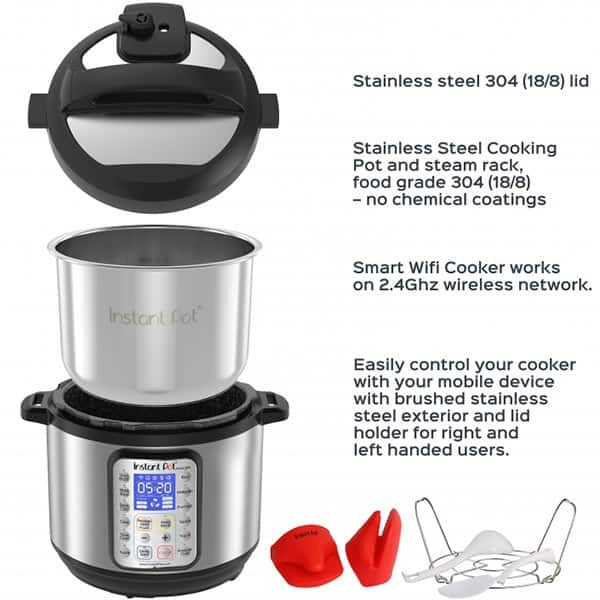 The Instant Pot Company recently released a new Instant Pot, the Instant Pot Smart WiFi! The Smart pairs with your smartphone and lets you monitor what’s going on in your Instant Pot from anywhere. Recently, Instant Pot sent me the all new Instant Pot Smart WiFi to test drive. 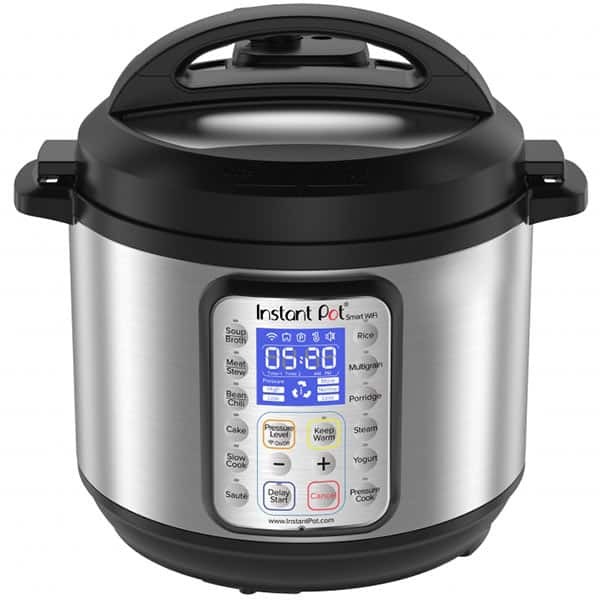 It’s a fun new addition to the Instant Pot family. I really appreciated being able to check on the progress of the pressure cooking cycle when I wasn’t in the kitchen. 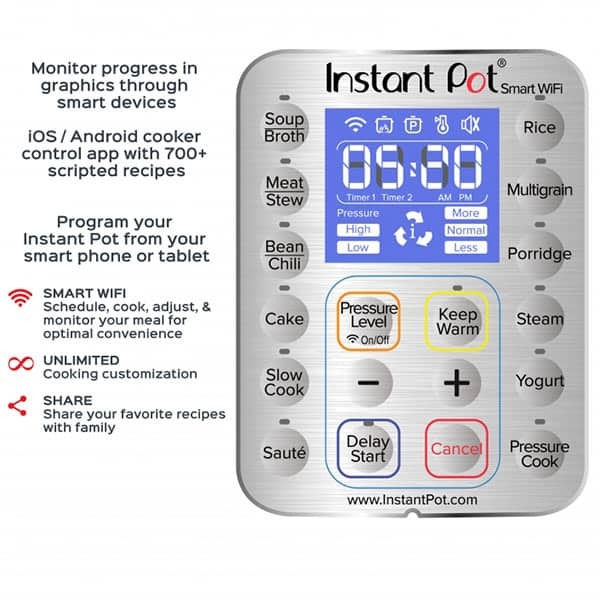 To use the WiFi programming on the Smart, you’ll need to download the The Instant Pot App which is available for both Apple and Android mobile devices. 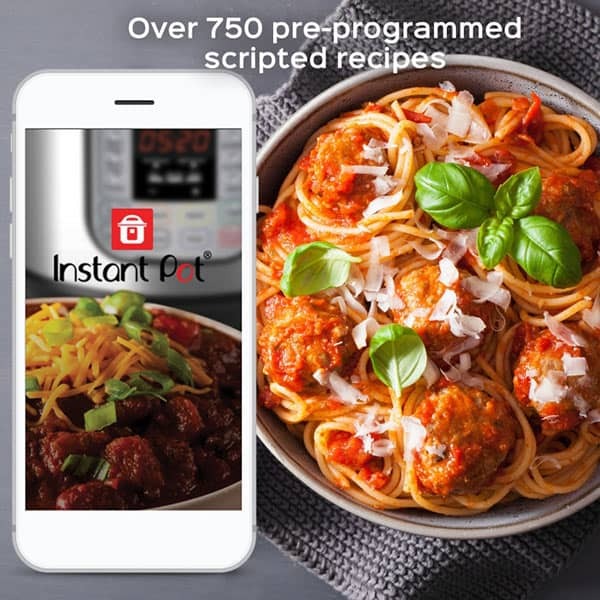 Download it from the Apple Store or the Google Play Store, www.instantpot.com/app. Of course, you can use the Smart manually by pressing the buttons just like you would with the other Instant Pots. 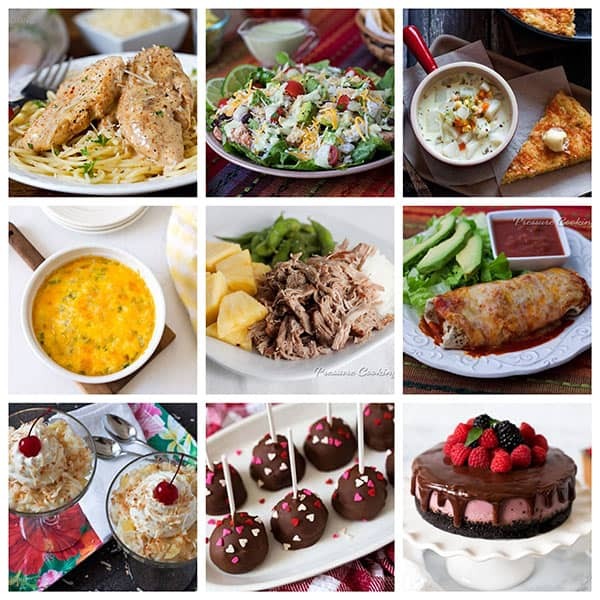 But the beauty of using the Smart WiFi is that you have 750+ pre-programmed scripted recipes at your fingertips. So for example, if you want to cook Beef Burritos for dinner, simply search in The Instant Pot App for Beef Burritos. Open the recipe and click on the ingredients basket icon. When you’re in the ingredients section, you can select an ingredient and add it to a grocery list. Then when you’re ready to start cooking, click on the utensils icon. Follow the first steps in the instructions until you get to the Cook Now button. Press the Cook Now Button and a new menu appears listing your Smart WiFi and an option to use a Delay Start. 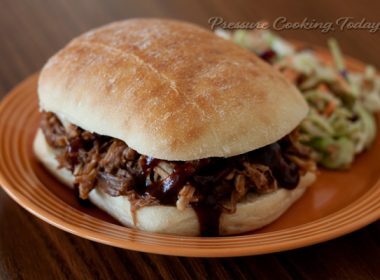 If you’re ready to start, press the Start button and the Smart WiFi will begin preheating the pressure cooker for the time and pressure indicated in the recipe. While your food is cooking, you can use the app to check and see how much cooking time is left, or how long the recipe has been on Keep Warm. Many of my recipes call for a 10 minute natural release followed by a quick release, so knowing how long it’s been on the Keep Warm cycle let’s me know when I have to go and release the pressure. 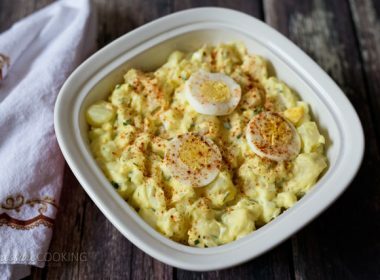 In addition to the Easy Chile Colorado Smothered Burritos Recipe mentioned above, you’ll also find these recipes from Pressure Cooking Today in the Instant Pot App: Pressure Cooker Cheesecake Pops, Cilantro Lime Chicken Taco Salad, Chicken Lazone, Crustless Meat Lovers Quiche, Kalua Pork, Pina Colada Rice Pudding, Poblano Corn Chowder, Raspberry Cheesecake, and the Caramel Pecan Cheesecake from Instantly Sweet. 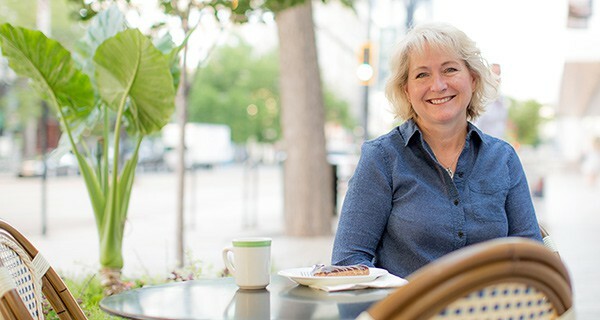 The Smart WiFi has all of the great features that people love on the Instant Pot Duo. It’s a Multi-Use Programmable Pressure Cooker which combines the functions of a Pressure Cooker, Slow Cooker, Rice/Porridge Cooker, Yogurt Maker, Cake Maker, Sauté/Searing Pan, Steamer, and a Warmer. It has a large, blue, LCD display, with 5 icons to easily view the status of Smart – WiFi, Heating, Pressure Cook, Keep Warm and Sound ON/OFF. The ‘Heat’ indicates heating or cooking in progress, ‘Pressure Cook’ indicates the pressure cook program is selected, ‘Keep Warm’ indicates if it is ON/OFF, and ‘Sound’ indicates if the sound is ON/OFF when cooking starts or is completed. With the older Smart Bluetooth, your device had to be within 30 feet to connect. With the new Smart WiFi, your cooker remains paired with your smartphone from any distance. So you can start your pressure cooker or check on the pressure cooking progress remotely. Currently, you cannot create your own scripts (add your own recipes). 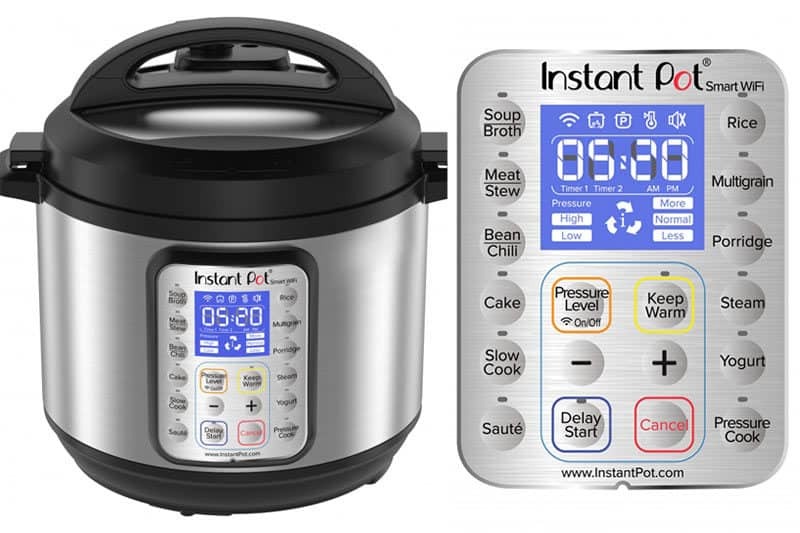 Instant Pot plans to add that feature on a later release. 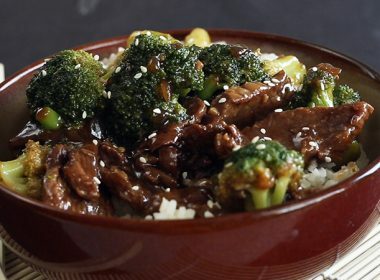 Instant Pot has a great frequently asked questions section on the Instant Pot Website. If you’re a gadget person like me, you’ll have fun with the Smart WiFi. My favorite thing about using it is being able to tell how hot it is inside the pot. I often like to wait in the kitchen until the pressure cooker has reached pressure. If I’m cooking with the Duo I’ll put my hands on the outside to feel how hot it’s getting and listen for the sound of boiling inside the pot. With the Smart WiFi, there’s a temperature gauge in the App. The gauge shows you if preheating is just starting or almost complete. I like that the App shows you when the cooking time is almost up from anywhere. Then I know how much time I have before I need to head back to the kitchen; to set the table, or start a side dish. The Instant Pot Smart WiFi is available on Amazon. Disclosure: I received a free Instant Pot Smart WiFi to review. It was not compensated for this post and all opinions expressed are always my own. Love my Instant Pot. Such an all ’round kitchen helper. I’ve only used a pressure canner. 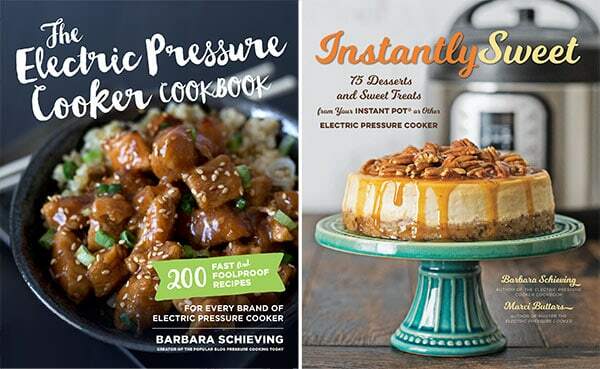 I would love to learn how to use a pressure cooker. 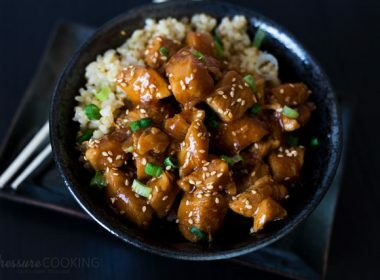 The Instant Pot seems to be a cooks dream tool. 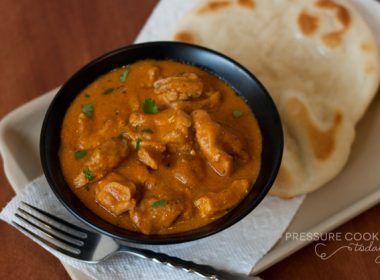 I have been wanting to try a pressure cooker, and this looks like the ideal way to do this! I am in serious love wi my Instant Pot can’t wait to try some of your recipes!